Are you one of those people still struggling to queue at the bank in order to make a deposit? If you are, you need to put a stop to that immediately. Ever since Safaricom launched the M-pesa Paybill service, it is no longer necessary to waste your valuable time in bank queues. All you need to do is find out the bank's Mpesa Paybill number and then follow the instructions below. Look for the nearest M-pesa agent and deposit the funds in your M-pesa account. 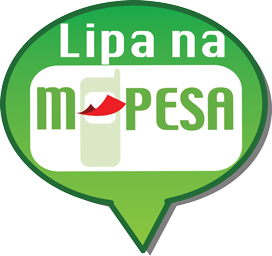 Go to your M-pesa menu and scroll down to "Lipa na M-pesa"
After a few seconds you will get an SMS confirmation that the funds have been deposited in the bank account. Make sure you enter the correct bank account number to avoid banking the funds in the wrong account.